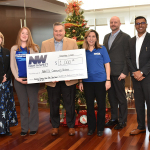 HERNDON, Va.--(BUSINESS WIRE)--Northwest Federal Credit Union donated $1,000 to community partners as a part of their Choose Your Path Then Choose One of Ours Campaign. For every new checking account opened September 1 through November 30, 2018, Northwest Federal donated $2 to the non-profit organization selected by the member. Members chose a non-profit organization from one of Northwest Federal’s four community outreach paths - Animal Welfare, Children and Special Needs, Environment and the Arts, and Health and Wellness. Special Olympics VA, Friends of Homeless Animals, Potomac Conservancy, and Arcadia Center for Sustainable Food and Agriculture, each received a donation as a part of this campaign. 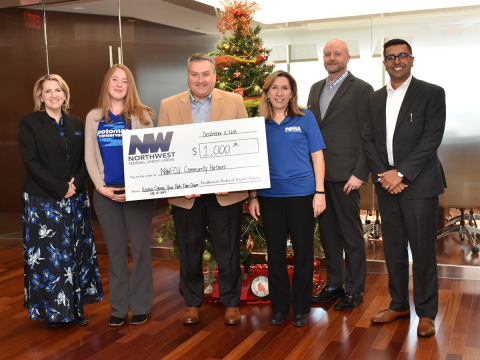 “It is a privilege to make this donation on behalf of our members to four non-profit organizations who are doing so much to serve our community,” said Jeff Bentley, President and CEO of Northwest Federal Credit Union.